The UN Human Rights Office is launching on Human Rights Day “Our Rights. Our Freedoms. Always.” a year-long campaign to shine a light on the inalienable and inherent rights of global citizens — now, and always. “Our Rights. Our Freedoms. Always.” revolves around the timeless themes of rights and freedom and the relevance of the work that continues in securing and ensuring them. At its core, FREEDOM, underpins the International Bill of Human Rights – freedom from fear, freedom of speech, freedom of worship and freedom from want. 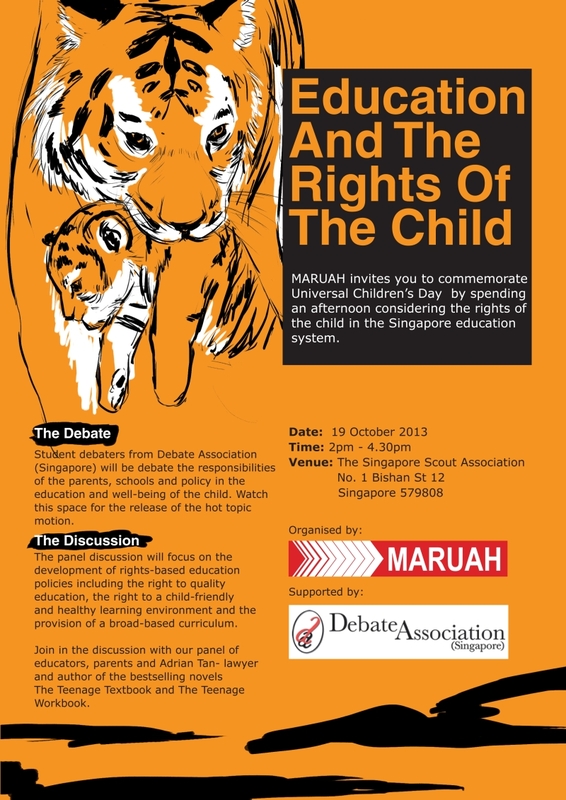 In-line with the theme chosen, MARUAH is issuing the following statement for Human Rights Day 2015, 10th December. Fifty years ago, the United Nations General Assembly adopted two international treaties that would forever shape international human rights: The International Covenant on Economic Social and Cultural Rights (ICESCR) and the International Covenant on Civil and Political Rights (ICCPR). Fifty years ago, Singapore also gained full independence. Till date, the Singapore government has not ratified the 2 original core international human rights instruments, the ICCPR and ICESCR. Singapore still has much to do to build political institutions, judicial systems, and economies that allow ordinary people to live with dignity. The growth of hate speech against religious and racial minorities, the justification of rights violations in the name of combating terrorism, the clawing back of economic and social rights in the name of economic crises or security, and the failure to respect the right to privacy in the digital age, show the relevance of the 2 Covenants and the need to respect them. On this Human Rights Day, we call on our Singapore government to ratify both the the ICCPR and ICESCR, as a commitment to the citizens of Singapore. It is most apt, in light of our ongoing discourse about race. Most of us have heard of the race riots which occurred in the 1960s, and now used as cautionary tales against racial prejudice and chauvinism. More recently, after an incident during Thaipusam, Indians and non-Indians signed a petition calling for the urumi mellam to be allowed during Thaipusam processions. A 2nd petition calling for Thaipusam to be gazetted as a public holiday gained traction, highlighting dormant ethnic grievances that have yet to be resolved. Another aspect of our social history is the reductive Chinese, Malay, Indian and Others (CMIO) racial classification policy. In our modern era, categories like “Chinese,” “Malay,” Indian” and “Others” might not serve us as well as a multicultural model of nation-building. CMIO racialism is as much a concern as racism, since the former can very well inform the latter during crises. The influx of foreigners has stirred xenophobic sentiments in different quarters of our society. Workers from China and India for instance, are seen to be different from local Chinese and Indians. While this is understandable, and even a testament to a common Singaporean identity, there is the danger of race and class overlapping to segregate Singapore into different ethnic enclaves. While we might not be able to instill multiculturalism overnight, we can take steps to ensure that racial and ethnic discrimination is never tolerated on any grounds. We urge our government, in partnership with our citizens, to ratify the International Convention on the Elimination of All Forms of Racial Discrimination (CERD) — towards an inclusive and multi-ethnic Singapore. On 10 December every year, Human Rights Day commemorates the date on which the United Nations adopted the Universal Declaration of Human Rights. Make your voice heard now: explain on your social media of choice (Facebook, Twitter, Instagram, Vine, etc. 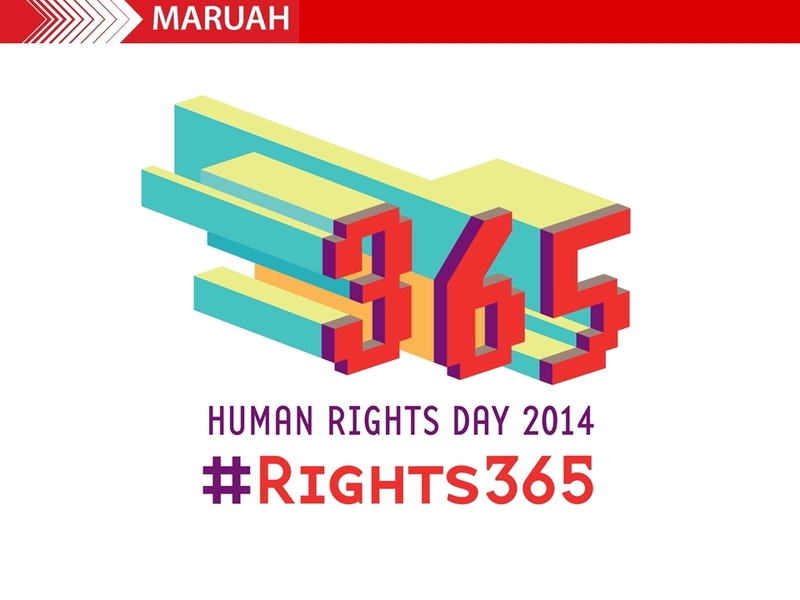 ), why Human Rights matter 365, e.g. how human rights issues affect our lives and people around us everyday, both positively and adversely. Do check the UDHR to see what are your fundamental human rights (and responsibilities). This social media campaign will run from 8th-15th December 2014. World Day Against Child Labour was started by the International Labour Organisation (ILO) in 2002 to draw attention to the need for political will to combat the scourge of child labour. According to the ILO there are currently over 168 million child labourers all over the world. That is, globally an average of one in ten children is being exploited. They work in industries as diverse as agriculture, mining, manufacturing, construction, fishing, retail, transportation, food and beverage and even hospitality. The majority of child labourers are involved in hazardous work or work that poses a risk to their health and safety. Today, the 23rd of August is the International Day for the Remembrance of the Slave Trade and its Abolition, as designated by United Nations Educational, Scientific and Cultural Organization (UNESCO). The day is in remembrance of the atrocities and gross human rights violations committed during the transatlantic slave trade. The date is of particular significance because it commemorates the 1791 uprising on the island of Santo Domingo (today Haiti and the Dominican Republic), which was a major milestone and catalyst in the eventual abolition of the transatlantic slave trade. This August 23rd, MARUAH would like to remember the men and women who were denied the very basic right of being a free human being.